This my boss, is all FTA and nothing more. 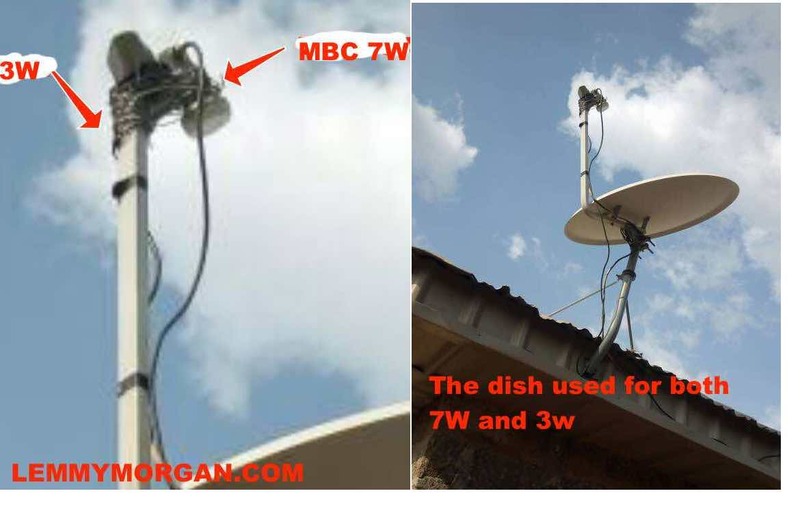 He doesn’t do dongle, he always scouts for various FTA channels and tries to do justice to them with his 90cm dish. First off, you need an FTA decoder. This will not work with a satellite service provider brander decoder like DStv, mytv, startimes, consat kwese, canal+ orthe likes. You need a standalone receiver like strong 4920 or newer, qsat, gsky, freesat, nurstar, tiger, tlink, super esat, alphabox and so on. In addition, you will need two 90cm dished if you want all the 5 satellites. You will need to buy other accessories as recommended. E.g, your DiSEqC switch, F-connectors, a roll of coaxial cable and concrete nails. You need a think aluminium wire. This is ideal because it is flexible and can hold up better than copper wires which are too rigid. On the other hand, if you will have a professional do it for you, prepare some cash for his service. This is not too difficult to pull off as long as you are patient. You start with the primary and gradually add the others. In the case of Tstv 3W + MBC 7W, We all know about tstv Africa. If you are new to it, read my article here. As for MBC 7W, the frequency is 11559 V 27500. It has about 20 Mbc channels that are totally free without any encryption sign. The channels are MBC, MBC 4, 3, MBC Action, MBC 2, MBC Bollywood, Drama, Al Arabiya, MBC max and so on. I have been visiting your youtube page but I couldnt find any new updates. Please try to teach via video you re really doing well. 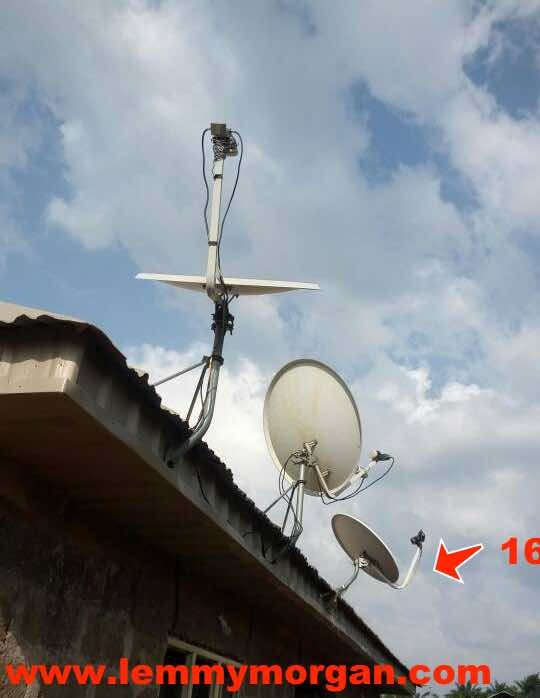 Telstar 15 w is it trackable in southern Africa & if it is size of dish ? Thanks for the mbc info with d 90cm dish . 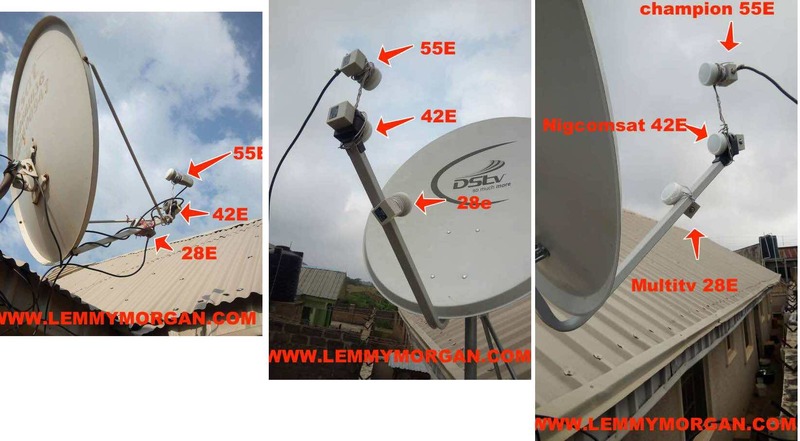 I used single lnb to track 7w and I get like 17 /20 channels when I change the lnb to two ways hd l get more (37)channels also d signal quality gets better. Some people came to my office today to advertise one powersat from nigcomsat which is PVR ready, unlimited data plus WiFi hotspots, 3years subscription, up to 200 channels including EPL, champions league, etc. They say it’s promo. I am still waiting and making my findings till tomorrow. I want to meet thier manager tomorrow. @Mykel: That is interesting. Please keep the house update as events unfold. I am just your best customer and follower your blog every day from Ethiopia, my name is Abay. you know why we are free channel users and sport24 get off once and we have no option at the moment to watch any football live games. If you can tell meh some alternatives other than sport24. i write here you because of you command to ask in email for security but i cant get your email address. Comment *pls can u drop d guy’s number dat does d installation in osun state. I was able to track TSTV freq. on T-Link 900 but I can only got MBC (max, action, 2), Dubai one and then channels tv. Plz I want to know if these are the only channels currently showing on TSTV and if not what should I do to get the rest of the channels. Thanks! I need new software for sports 24HD I have 4950H. lemmy can i use qsat 13q to track it? Good day, please in need update on sports 24HD I have 4950H thanks. Thanks oga Lemmy. To my people who’s always asking for what’sapp, let me tell you the facts the only way you will can appreciate and pay back what Lemmy has been doing for us is that we keep on clink on the link from him so that he will be something from this domin to maintain it. Please Oga Lemmy keep on sending link we don’t need Whatsapp for now. I will be happy to make a voluntary donations for this site to be alive for live…. Nobody send or ask me to do this but we need to support this domin to more functioning. Can you also recommend one for me? i live around Okoko. @waheed: where are you located? Don't worry, we value your privacy and will never spam you.